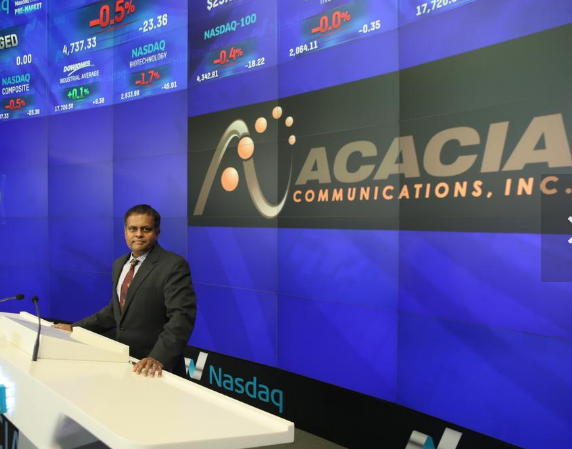 Raj Shanmugaraj is currently working in Acacia Communications as President and CEO. He was an alumni of 1979 batch. Vanitha Rangaraju was born 1970 in Tiruchirappalli, where she went to school and graduated with a Bachelor of Architecture from the National Institute of Technology, Tiruchirappalli. In 1996, she pursued Master's program at the University of Texas at Austin followed by an intership at Industrial Light & Magic in 1998. Since then she has been with DreamWorks Animation. Vanitha Rangaraju was part of the team that won a 2002 Academy Award for Best Animated Feature for movie Shrek, for which she was credited as Lighting Technical Director.Some of her movie credits include Shrek2, Madagascar, Shrek the Third, Madagascar: Escape to Africa and Puss in Boots. Dr. Meyya Meyyappan was recognized for his outstanding contributions on February 19, 2009, when he was inducted into the Silicon Valley Engineers Council Hall of Fame for his cutting-edge research in nanotechnology . In 1997, Meyyappan started attending an informal group that met regularly to discuss nanoscale science and technology and its potential benefits to society. By 1998, the United States Office of Science and Technology Policy recognized the group's important work, and designated it the Interagency Working Group on Nanotechnology. As one of its founding members, Meyyappan was involved in the discussion of nanoscale application from the beginning. Working with Nobel Laureates, eminent professors and chief technology officers from across the country, the group produced ground-breaking work, which was used to justify raising nanoscale science and technology to the level of a national initiative. Meyyappan grew up in a medium-sized town in southern India. He remembers always wanting to become an engineer, and started down the path to his dream in high school, where he liked mathematics and science. He earned a bachelor in technology in chemical engineering at the Regional Engineering College of Madras University in Trichy, India. The following year, he moved to England, and earned a masters degree in chemical engineering at Aston University in Birmingham, UK. In 1979, he arrived in cold, wintery Potsdam in upstate New York, where he worked on a doctorate in chemical engineering at Clarkson University. Sponsored by NASA, his thesis topic was the feasibility of processing materials under microgravity conditions. 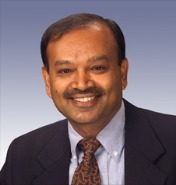 Meyyappan joined NASA Ames in 1996, and the following year, started the NASA Ames Center for Nanotechnology (NACNT). Under his leadership, NACNT grew to about 65 scientists and engineers, and students and visiting scholars working on various aspects of nanotechnology, including carbon nanotubes, nanomaterials, nanoelectronics, computational nanotechnology, chemical and bio sensors, flight instrumentation, detectors, optoelectronics and related areas. They investigated the benefits of nanomaterials for miniaturization of science payload and affordable space missions. Recognized for its prolific nanotechnology publications and inventions, NACNT was one of the most praised organizations in the world. As a senior scientist, Meyyappan has pursued his own research interests in the areas of carbon nanotubes and inorganic nanowires for various applications in electronics and sensors. He has authored or co-authored more than 175 articles in peer reviewed journals, and participated in more than 200 Invited/Keynote/Plenary Talks related to nanotechnology throughout the world. Today, Meyyappan is the chief scientist for exploration technology at NASA Ames Research Center. He also has been recognized by his peers for his scientific contributions. He is a Fellow of the Institute of Electrical and Electronics Engineers (IEEE), the Electrochemical Society, American Vacuum Society, and the California Council of Science and Technology. He is the IEEE Nanotechnology Council Distinguished Lecturer on Nanotechnology, IEEE Electron Devices Society Distinguished Lecturer, and the American Society of Mechanical Engineers' Distinguished Lecturer on Nanotechnology (2004-2006). He served as the President of the IEEE's Nanotechnology Council between 2006 and 2007. For his contributions and leadership in nanotechnology, he has received numerous awards, including a Presidential Meritorious Award; NASA Outstanding Leadership Medal; Arthur Flemming Award, given jointly by the Arthur Flemming Foundation and George Washington University; 2008 IEEE Judith Resnick Award; IEEE-USA Harry Diamond Award; and the American Institute of Chemical Engineers Nanoscale Science and Engineering Forum Award. For his educational contributions, he has received an Outstanding Recognition Award from the NASA Office of Education; the Engineer of the Year Award (2004) by the San Francisco Section of the American Institute of Aeronautics and Astronautics; and IEEE-EDS Education Award. Prior to founding Bloom Energy, Dr. KR Sridhar was Director of the Space Technologies Laboratory (STL) at the University of Arizona where he was also a professor of Aerospace and Mechanical Engineering. Under his leadership, STL won several nationally competitive contracts to conduct research and development for Mars exploration and flight experiments to Mars. KR has served as an advisor to NASA and has led major consortia of industry, academia, and national labs. His work for the NASA Mars program to convert Martian atmospheric gases to oxygen for propulsion and life support was recognized by Fortune Magazine, where he was cited as "one of the top five futurists inventing tomorrow, today." As one of the early pioneers in green tech, KR also serves as a strategic limited partner at Kleiner Perkins Caufield & Byers and as a special advisor to New Enterprise Associates. He has also served on many technical committees, panels and advisory boards and has several publications and patents. KR received his bachelor's degree in Mechanical Engineering with Honors from the University of Madras (now called NIT, Trichy), India, as well as his master's degree in Nuclear Engineering and Ph.D in Mechanical Engineering from the University of Illinois, Urbana-Champaign. Dr. Krishna V Palem received his BE degree in ECE from NITT (RECT) in 1979. He obtained his MS and Ph.D. Univ of Texas Austin.He is Professor, Department of Computer Science, Rice University; Director, VISEN center. He was earlier Professor at Georgia Institute of Technology; Associate Professor at New York university; Chief Technology Officer of Proceler Inc. He was a Schonbrunn visiting professor in Hebrew University, Jerusalem wherein he got a Teaching Excellence award; External recognition Award from IBM Research division apart from Hewlett Packard research award and Panasonic research award. He is Fellow of ACM and Fellow of IEEE. He has been Editor of many International Journals. He has held visiting positions at the National University and Nanyang Technological University, Singapore. He has Research grants worth $6.8 Million. Dr. Baba C . Vemuri received his BE degree in ECE from NITT (RECT) in 1979. He obtained his MS and Ph.D. from University of Texas, Austin.He is Professor & Director of Center for Vision, University of Florida Research foundation, Dept of computer &Information science, and Electrical Engg, University of Florida at Gainsville. He is Visiting Faculty, IBM T. J. Watson Research Center, Yorktown Heights, NY and Visiting Research Scientist, The German Aerospace Research Institute, DLR Oberpfaffenhofen, Germany. Won University of Florida SPP award & Research foundation professorship. Received NSF Research Initiation Award & Whitaker Foundation Award; IEEE Fellow and Outstanding Service as an Associate Editor of IEEE TPAMI. He is member of several External Technical Committees & Editorial. He is Associate editor of several Journals. He has 11 Book chapters / Edited books Published at international level. He has been Plenary Speaker at Several Conference. He is serving in several Directorship of Dissertation/Thesis Committees. He has guided Projects worth $50 Million. Dr. Chetan Sankar received his BE degree in Mechanical Engineering from NITT (RECT) in 1971. He obtained his MBA from IIM Calcutta and Ph.D. from University of Pennsylvania. He is Professor, Department of Management, College of Business, Auburn University. He earlier worked as Assistant Professor at Temple University, Philadelphia, PA. He was also Member of Technical Staff, AT&T Bell Laboratories, Holmdel, NJ. He has won several Awards and Recognitions which includes iNEER Recognition Award by the IntlNetwork for Engg Education and Research; Outstanding Research Award, College of Business; ASME Curriculum Innovation Award; I prize Decision Sciences Institute Instructional Innovation Education Award; American Soc. for Engg Education Instructional Unit Competition. He has 11 Full books by Tavenner Publishers & 11 Books with few Chapters. He has several Articles in Refereed Journals and over 100 Published in Conference Proceedings. He has served in several Editorial boards like Decision Sciences Journal of Innovative Education; Americas Conference on Information Systems, IT in Education; Journal of STEM Education: Innovations & Research; Journal of Global Information Technology Management; Case Research Journal; Technology/Engineers Track for the Case Research Journal. He has several sponsored projects with a Total Budget of $2.2 Million.